The demand for tenant debt collection is growing, and landlords need to stay one step ahead, especially when they are shopping for an investment property that is subject to a tenant lease. The problem stems from what’s in the typical tenant file. With typical due diligence, the owner provides only the lease agreement. While the lease is crucial for enforcing the rent obligation, it doesn’t contain the information needed to enforce the judgment or trace a tenant who skips out. When the tenant files do contain a rental application, it may not be complete. Chances are, it is outdated. 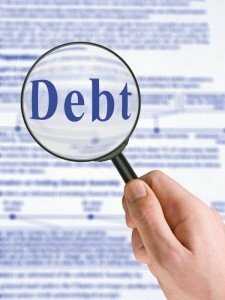 The tenant debt experts with RentRecoveryService.com suggest doing tenant due diligence when purchasing a rental property. Take a closer look at the tenant files and assess the situation. Is the current landlord using a good rental application? Did they screen the tenants? Are there emergency contacts available? If possible, demand that the tenant information be updated so the files are complete. If you have already purchased an occupied property or you have not followed a prudent screening and file maintenance process, you will want to take steps now to improve your chances of debt recovery. While it is unlikely that you can change the terms of the existing lease agreement or require more of your newly-acquired tenants (check with your lawyer before you contact the tenants), you should at least be able to get updated emergency contact information. Also, if your tenant pays by check, be sure to save a copy or note the information on each one. That information is crucial in the event there is an emergency, and its vitally important to collection efforts if theres a default. Its not just newly acquired rentals that are problematic. If you were diligent when you first rented, but you are not updating the information in the rental application, particularly emergency contact, banking and employment information, and keeping track of any changes in payment methods, it can catch up with you in the collections process.